The Netherlands, 16 October 2013 – DSM Dyneema, the manufacturer of ultra high molecular weight polyethylene (UHMwPE) fiber, branded as Dyneema®, and world leader in life protection materials and high performance fibers, has informed its customer this week of a global price increase of 5% for all DSM Dyneema fiber and uni-directional (UD) product lines. The price increase will be effective as per January 1st 2014 or as contracts allow. 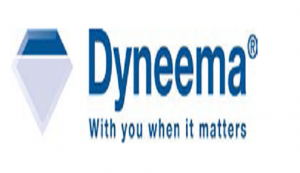 DSM Dyneema is the inventor and manufacturer of Ultra High Molecular Weight PolyEthylene (UHMWPE) fiber branded as Dyneema®, the world’s strongest fiber™. Dyneema® offers maximum strength combined with minimum weight. It is up to 15 times stronger than quality steel and up to 40% stronger than aramid fibers, both on weight for weight basis. Dyneema® fiber floats on water and is extremely durable and resistant to moisture, UV light and chemicals. The applications are therefore more or less unlimited. Dyneema® is an important component in ropes, cables and nets in the fishing, shipping and offshore industries. Dyneema® is also used in safety gloves for the metalworking industry and in fine yarns for applications in sporting goods and the medical sector. In addition, Dyneema® is also used in bullet resistant armor and clothing for police and military personnel.